There is still a lot of confusion surrounding the new MOT Rules introduced in May 2018, and their effect on Diesel vehicles, especially when it comes to the Smoke Test and whether the changes only affects DPF equipped vehicles, or whether they affect all diesels. Well unfortunately, the MOT changes will affect a large amount of diesel cars, both with and without a DPF but the rules are different for DPF and Non DPF cars and this is where the confusion begins. I will try and explain it all here. If you have a DPF equipped car, and it is observed by the inspector to emit any visible smoke of any colour during idle or the actual MOT test, then it will be a Fail. The MOT Diesel Smoke Test will now be carried out to the manufacturers’ plate value printed on the vehicle, and this figure will either on the VIN Plate or a sticker which is often located on the inner door pillar or sill. Most DPF Cars were equipped with these figures, however default values exist, which will be used to test the vehicle if the figure is not shown or if the plate has been *cough* removed. If there is no emissions value shown, or if the MOT Inspector is unable to find or determine the value, then the vehicle will be tested to a default figure, and these depend on the age of the car. 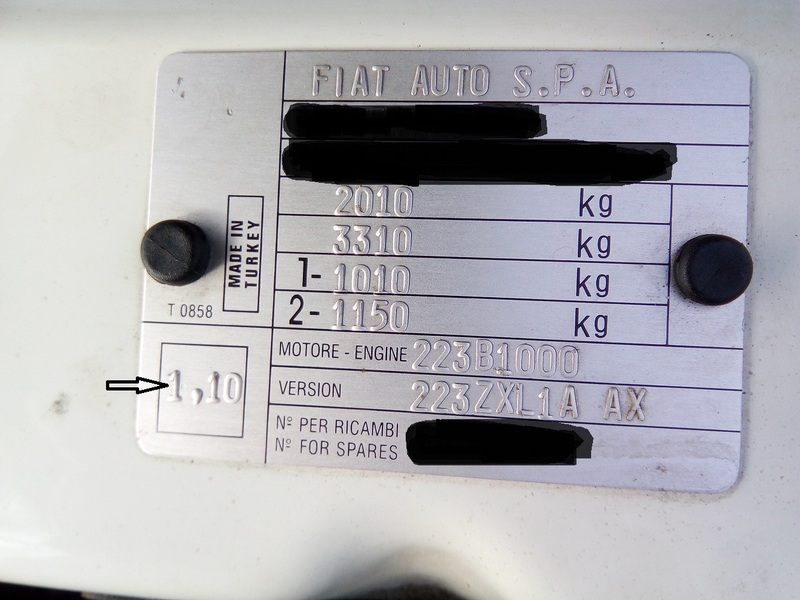 Remember that the default values shown above, ONLY apply if the MOT inspector has been unable to locate a plate value on the vehicle, if they have then the Smoke Test will be conducted with the Plate value representing the Maximum value for the test and overriding the default figures, if the results are higher than the plate value then the Car will fail its MOT, even if they are essentially still below the default values based on the age of the car!. First of all, the visible smoke rule does NOT apply to Diesel cars which do not have a DPF fitted from the Factory, your car will still be permitted to emit small amounts of smoke of any colour at idle or during the test. Of course the inspector can still fail the car on a visual test if they feel that the vehicle is emitting excessive levels of blue or black smoke, so if your car belches dense smoke like an old Diesel bus then you could still be in for a fail, however small amounts of smoke will not fall foul of the test, unlike a DPF equipped car. Prior to May 2018, all older Diesel cars were tested to a default value of 3.0m-1 which made it relatively easy for even high mileage diesel cars with worn injectors or a bit of engine oil burning to pass the Smoke Test with ease however one of the major changes introduced in the new MOT rules, make it much harder for these older cars to pass by introducing much stricter limits, where the car is tested in-line with the original manufacturers emissions test figures. So if your car was manufactured before July 2008 and has no manufacturers emissions figure printed on a plate or sticker on the vehicle, then the test will be conducted to the original default figures of 2.5m-1 or 3-0m-1 as was used before the changes. 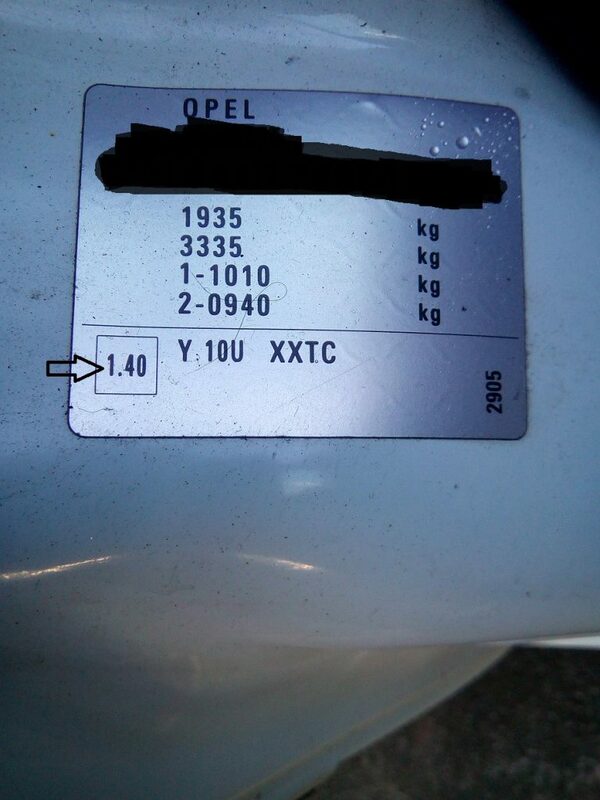 However if your car does have this figure available somewhere on the vehicle, then the MOT will use the plated figure as its maximum smoke value, and if the car produces more smoke than its plate value indicates then the car will fail the MOT, even if the figure is still below the default value. Here are two examples of how the Smoke Output figures are presented on either the Engine Bay Plate or a sticker elsewhere on the car, (usually a Door Frame or Boot). The Emissions figure is printed within a square box, usually to the lower left or lower right of the label. In the first image, the smoke value is stamped onto the VIN Plate and mounted at the front of the engine bay, under the bonnet. This vehicle, although previously tested to the 3.0m-1 default smoke value in all of its MOT’s prior to May 2018, will now be subject to a much tighter 1.1m-1 maximum smoke limit as indicated on the plate, even though the vehicle was made in 2005 and has no DPF. If it produces more than 1.1m-1 on any future MOT test, then it will Fail. In the second image, the manufacturers test figure is printed on a sticker located on the inner drivers’ door frame. In this case the figure is 1.4m-1, even though the vehicle being manufactured before July 2008, would have been tested to the original 3.0m-1 limits levied on previous MOT tests. Should this vehicle produce more than the indicated 1.4m-1 figure then it will now Fail its MOT. Clearly the manufacturers data follows no pattern, and you would think that a vehicle manufactured in 2008, would carry a plated emissions figure lower than one manufactured in 2005, but this clearly is not the case in the two examples above and there is no logical pattern. There is also no explanation as to how the vehicle manufacturers applied these tests and under what conditions, there is also no tolerance added for the fact that ALL cars will experience some loss of efficiency both in the engine and fuel system as both time and miles are added, and to expect a 14 year old car with 250k miles on the clock to be as efficient as a prototype on an emissions test run around a dedicated track under ideal test conditions is just ludicrous. There is also no guarantee that those plate figures are genuine, especially in light of the VW “Diesel Gate” scandal where figures were fudged. Some cars may now be MOT tested to levels which were fictional and unattainable even when the vehicle was new, let alone many years and miles later, so its not surprising that the media are announcing that since the new MOT changes in May 2018, MOT failures on Diesel cars based on emissions are double what they were the previous year. Given the unfairness and highly variable aspects of the new changes, its not surprising that many owners are now looking for ways of having their vehicles tested under the original default figures, and why not? given that they were acceptable for many years worth of MOT’s prior to 2018!. Suffice to say that if the figures are contained on a sticker or label on the door frame, boot etc then they are easy to remove and given that there is currently no legal requirement for them, accidents can happen and labels go missing or get damaged all of the time!. It becomes more of a problem if the data is contained on the Engine Bay plate or on anything which contains the VIN number as part of the MOT test, also requires the VIN number to be present. However there are companies who can replicate your VIN plate but leave the emissions box blank. It is not currently illegal to reproduce and fit a replacement VIN plate provided that the vehicle is yours, and the VIN is original and not altered or defaced. These companies will request a copy of the V5 in order to ensure that the VIN is correct, however whether you include other information such as the emissions figure, is up to you!. Please note that I am not condoning these actions, just relaying what is already a rife practice and discussed all over the Internet, and I suspect that it will eventually become a wider, more popular practice than removing a DPF was!. DPF Tampered with or Missing – If your car had a DPF fitted at the factory but it is missing or obviously welded then your car will fail. If there is evidence of tampering, such as recent rewelding or sensors removed, then you will be invited to account for this, and provide receipts for any genuine work, such as professional DPF cleaning, if this still cannot be produced or explained then the car will fail. EGR Valve Missing – If the EGR valve is visually modified, removed or obviously blanked then a fail will be levied. Leaking of Fuel, Oil or other Fluids – If your car is leaking fluid which is threat to the environment then it will fail. There are guidelines for this, and a fail is only given if the fluid is leaking enough to create a pool wider than 75mm (7.5cm) in 5 minutes. Minor leaks will continue to be advisories. Engine Management Light (MIL / Check Engine) light illuminated – Another major change, is that now if your MIL is illuminated at the time of the test it will fail. There is also an initial test, to ensure that the MIL lights when the ignition is switched on and then extinguishes, so this prevents disabling of the light. Any of the above faults could flag a MIL illumination and stop the DPF from regenerating, eventually causing DPF clogging requiring an expensive cleaning, or worse still a replacement. MIL errors should always be investigated with a code reader at your earliest opportunity and any faults rectified quickly, especially if they appear on the list above as your DPF will not regenerate whilst they are present.